CAPTIVATING: Janetta Parlade who spent her early years in the company of assorted great literary men. Janetta Parlade, who has died aged 96, was a captivating personality in the literary and intellectual circles of her day, spending some of her earlier years in the company of Gerald Brenan, Cyril Connolly, Evelyn Waugh, Arthur Koestler and George Orwell. She also formed emotional relationships with a number of men, and married four of them. A lifelong friend of Frances Partridge, Janetta often stayed at Ham Spray, the house in Wiltshire associated with the Bloomsbury group. 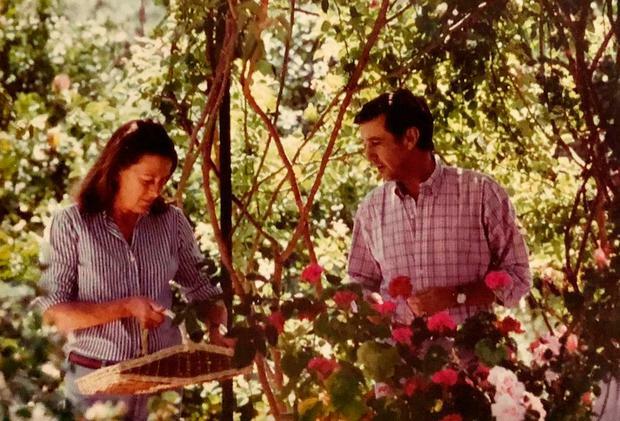 In her forties, having met and married her fourth husband, the interior designer Jaime Parlade, she remained with him in southern Spain until he died in 2015. Born on New Year’s Eve 1921, Janetta was the daughter of the Reverend Geoffrey Woolley, an assistant master at Rugby School who went on to be chaplain at Harrow. During World War I, he had been awarded the Victoria Cross – the first territorial to be given the honour – for his action in the battle for Hill 60, near Ypres, in April 1915. After Woolley’s adjutant and friend, Captain George Culme-Seymour, was killed in the same battle, he took up with Culme-Seymour’s widow and married her at the end of the war. While Janetta was still at school she turned against religion, thinking of her father as “bogus”; and when in 1963 Woolley came to write his memoirs, Sometimes a Soldier, he hardly mentioned his daughter, and not once by name. Janetta’s mother removed her from school aged 14, left her husband and took her daughter to Spain, to a rented house in Torremolinos, which was then no more than a fishing village. They were neighbours of the author and Hispanophile Gerald Brenan and there met Ralph and Frances Partridge. Brenan would introduce Janetta as a little girl “who makes everyone’s heart beat faster” and “has set my heart on fire”. Her early introduction to bohemian Bloomsbury life was cut short a few months later on the outbreak of civil war in Spain. Back in England, Janetta met Cyril Connolly, who offered her a lift in his car to the south of France, where her mother had taken a house. During the drive Connolly was arrested for abducting a minor, and a call had to be made to the British consul in Bordeaux before he was allowed to continue his journey. Wearing corduroy trousers and a French soldier’s cape, and carrying her belongings in a red-spotted handkerchief, the gamine Janetta must have looked even younger than her 17 years. A few years later, in The Unquiet Grave, Connolly fantasised that he had been in love with Janetta’s “sad, grave, gem-like beauty… which I grasped and was not brave enough to hold”. He told his wife that she suited his “second adolescence”. George Weidenfeld described Janetta in his memoirs as “a wayward beauty who had been the Egeria to many remarkable men, some of whom she wed”. Her first husband was Humphrey Slater, a writer and veteran of the Spanish Civil War. Having spent time in the Soviet Union and in Berlin, Slater had gone to Spain as correspondent for a communist weekly, then became a political commissar in the International Brigades and took over command of a British anti-tank battery at the Battle of Brunete. To the now politically conscious Janetta he must have presented a romantic, even heroic figure when they met shortly after the war ended; they were married before her 20th birthday. In his book Home Guard for Victory!, Slater propounded the view that this citizen militia should develop into a quasi-revolutionary People’s Army. The idea appealed to George Orwell, who reviewed the book and later wrote four essays for Polemic, the magazine which Slater founded and edited in the 1940s. 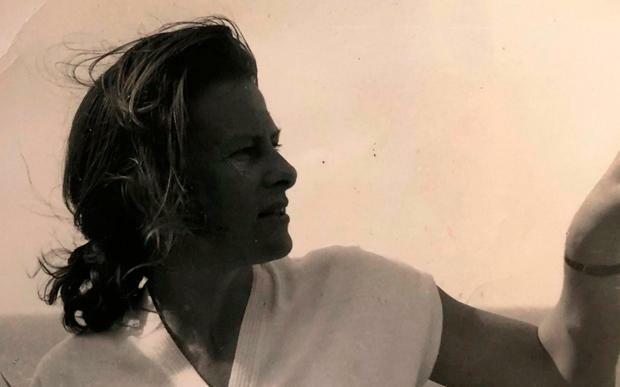 During their brief marriage Janetta continued to move in left-wing former Spanish Civil War circles – Arthur Koestler was a friend – and she worked at Horizon, the literary magazine founded by Connolly and Stephen Spender. There she acquired the nickname of Miss Bluefeet because of her habit of walking barefooted around the office. Sonia Brownell was editorial secretary at Horizon; when she and Orwell were married in University College Hospital in 1949, three months before he died, Janetta and David Astor were the witnesses. In 1944, Sinclair-Loutit was sent to Cairo en route for Belgrade, and by the time he returned to England a year later Janetta had fallen in love with the journalist Robert Kee, who had been a Bomber Command pilot and spent three years in a German prisoner-of-war camp. They married in 1948, and a daughter, Georgiana, was born; but within two years Janetta was off again, this time with Professor Derek Jackson, an atomic physicist and friend of Oswald Mosley. For Janetta this was also a political leap – when she married her communist first husband Jackson was a fascist sympathiser and married to Pamela Mitford. With her new lover Janetta spent time in Paris and, once their respective divorces had been finalised, they were married in London. Frances Partridge had often lent a sympathetic ear to Janetta’s marital upheavals, and was bemused by this new relationship. However, the right-wing scientist enjoyed the company of Janetta’s bohemian intellectual circle. Often boasting of his bisexuality, Jackson told Janetta that the last person he had been to bed with before her was Francis Bacon. They rented houses in Ireland for a while, then moved to France when Jackson was invited to work in a spectroscopic laboratory outside Paris. Janetta became pregnant and gave birth to a daughter, Rose, in a London clinic. Within hours Jackson told her that he was leaving her for her half-sister, Angela Culme-Seymour. Angela was relentlessly promiscuous and, like her younger sister, would marry four times. Jackson was on his third marriage when he met Angela, and he would marry three more times during his colourful career. Janetta was so shocked and angry that she filed a petition for restitution of conjugal rights, though she decided not to proceed with it. In spite of Jackson’s protestations, she divorced him in 1955, citing “a relative”, according to the Evening Standard. It would be 27 years before Janetta spoke to Angela again. For the next few years Janetta’s life entered a more turbulent phase. She had three daughters to bring up, Robert Kee was trying to get back into her life, and, as Frances Partridge recorded in her diary, there were “frantic lovers sobbing down the telephone” at her house in Montpelier Square, London. The lovers included the Duke of Devonshire and Lucian Freud; she also had an extended affair with a man 11 years her junior who, two decades later, became her son-in-law. Janetta returned to Spain in the mid-1960s, met and married Jaime Parlade, and with him ran a hotel, La Fonda, in Marbella. Jackson, with whom she was now on good terms again, bought a plot of land for her in the Andalusian foothills behind the coast, where she built a house, Tramores, with Parlade. With his flair for design and decoration it was, in Frances Partridge’s words, “a masterpiece … as if I had been confronted with a work of art”. When they sold Tramores to Sir James Goldsmith, the Parlades moved to another ravishing property, known as Alcuzcuz, south of Ronda. Settled at last in middle age, Janetta spent more than half her life with Parlade in Spain. She died on June 9 and is survived by her daughters.